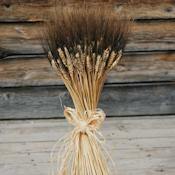 A simple yet elegant design made from our fall harvest of blonde wheat. 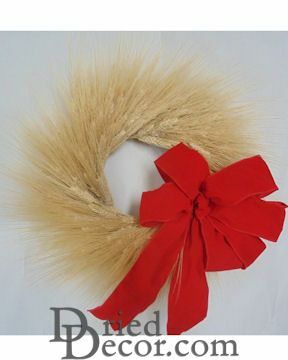 This would make a great addition to not only your fall decor, but also into your holiday decor as the wreath comes with large bows of ribbon. 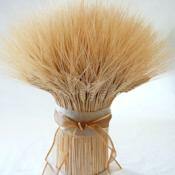 Try placing in a kitchen or even powder room, would even be a great addition to an office break room as a way to add a little festive flare for those hard to decorate places. 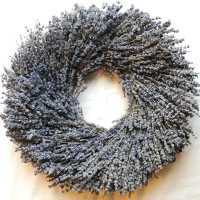 This wreath is a dried product and will last you many decorating seasons to come! 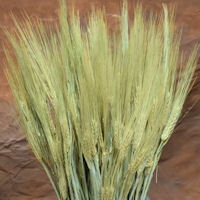 Case Option: Buy 4 Holiday Wheat Wreaths and save big! Shipping Note: Must ship before Nov 12th or after Dec 16th.